Prime Minister Portia Simpson Miller has emphasised that it is important for the Caribbean region to work together, to ensure that the countries within the hemisphere do not “become victims of the process of globalisation, but will become victors”. Addressing an editorial board meeting at Carib News in New York on August 11, she said the region could best overcome the challenges it faced through collaborative efforts. “As a people and as a region.the CARICOM Single Market and CARICOM Single Market and Economy that is to come, it is very important for us to have a strong voice,” Mrs. Simpson Miller stressed. Highlighting the fact that some sectors in the Caribbean, such as the banana and sugar industries, have been impacted as a direct result of globalisation, as well as the removal of preferential trade agreements being an attendant issue, the Prime Minister emphasised that, “we have to find a way to see how best we can retrain and prepare our people that we do not get significant loss of employment”. She outlined several initiatives including early childhood education, rural development and foreign direct investments which were receiving priority attention from the Government. On early childhood education, the Prime Minister told the meeting that the government was “aggressively pursuing the implementation of the transformation of the education sector”. 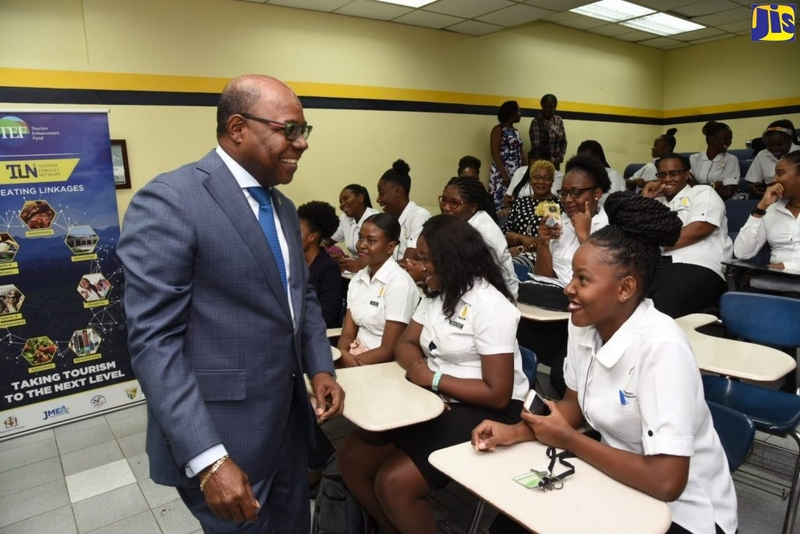 She explained that the transformation of education would include “the training of our educators, where our teachers are getting themselves trained and well prepared to train this generation of Jamaicans”. In relation to the focus on rural development, Mrs. Simpson Miller said this was a critical area given that in the past, giving attention to cities and towns were typically favoured at the expense of rural areas. “We complain about the rural to urban drift. This year, the Ministry of Agriculture and Lands got its largest allocation for a long time, to ensure that we can pay some serious focus on agriculture as we look at rural development,” she explained. On the matter of foreign direct investments, the Prime Minister encouraged Jamaicans living overseas to invest in the country. “I think Jamaica is poised for take off . but I really think we need to now get more happening, but with Jamaicans in the Diaspora being involved. I believe that when we talk about foreign direct investments, I think that Jamaicans must also ensure that they follow what is happening in Jamaica and where they can invest,” Mrs. Simpson Miller said. She said great opportunities existed for Jamaicans overseas to invest in such areas as tourism and the construction of houses for the middle income and the higher end markets. Mrs. Simpson Miller was in New York as guest of the Jamaica Independence Anniversary Committee (JIAC). She was special guest at the Grand Independence Ball, held at the New York Hilton Hotel & Towers, Manhattan on August 12. The Prime Minister returned to the island yesterday (August 13).